Fox has moved a step forward on one superhero franchise and a step back on another. First up, Deadline confirms that Josh Trank (Chronicle) will direct the reboot of Fantastic Four. The studio is trying to get all of its superhero franchises back up and running, but right now X-Men is the only one with any gas. The Wolverine is due to start filming next month, and the sequel to X-Men: First Class will shoot in January once Jennifer Lawrence has wrapped on The Hunger Games: Catching Fire. Progress on Fantastic Four could mean that the studio has at least one new superhero movie every year. 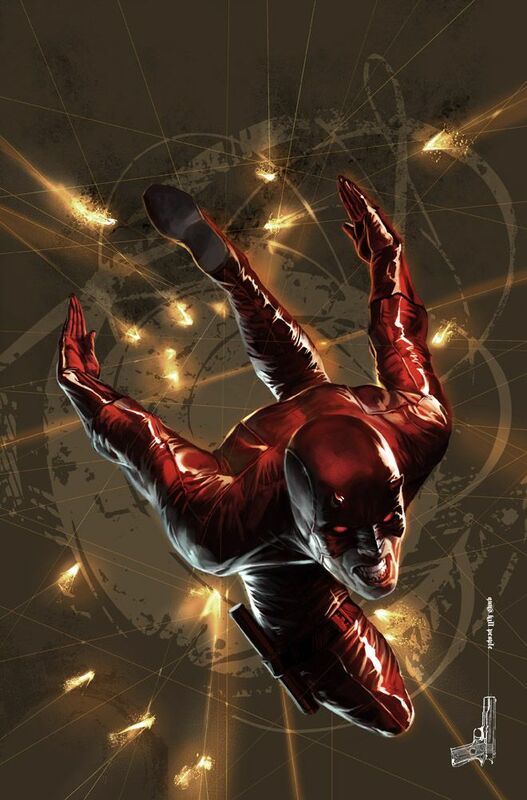 However, the studio may not have much time left for Daredevil. Hit the jump for more. I’d be surprised if the studio chose to let the project go, since Marvel will absolutely not let one of their most popular superheroes lie fallow, especially when there’s the opportunity to fold him into the Marvel Movie Universe. If Daredevil goes back to Marvel, and they make a smash hit, then Fox looks foolish for letting the character go. But it’s worth noting that this isn’t a Sony/Spider-Man situation. Spider-Man sells itself so Sony made sure they got The Amazing Spider-Man underway so the wall-crawler didn’t head over to Marvel/Disney. Daredevil doesn’t have Spidey’s widespread popularity, so Fox may just be throwing money away if they try to make a Daredevil reboot just so Marvel/Disney can’t. To play in the speculation game, I’m betting that if Fox decides to go forward on their Daredevil reboot, we should expect to see a journeyman director or a rising star attached to the project (someone with a bonafide hit but not enough clout to rock the boat). There’s no time for an auteur to come in and start tinkering with the script and slowing down the process. Personally, I’d rather the character go over to Marvel/Disney and be done right rather than Fox make the movie simply so it can be done.